LETTUCE WITH SPECIAL GUEST JOHN SCOFIELD. The Capitol Theatre, 149 Westchester Ave., Port Chester. Ages 18 & over unless accompanied by a parent or legal guardian. Doors open at 8 p.m., show at 9 p.m. Classic funk, matching their smooth and soulful grooves with a hip-hop-inspired urgency and mastery of beat. PRESENTATION AND FREE BONE DENSITY SCANS. OsteoStrong, 116 E. Putnam Ave., Greenwich. 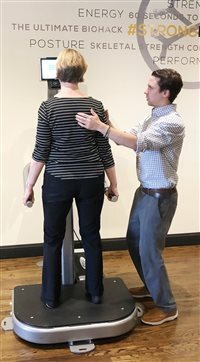 9-10:30 a.m. Attendees will discover how to build skeletal strength and combat osteoporosis naturally and faster than with pharmaceutical treatments or other therapies. Designed for people of all ages and activity levels. For additional information, go to osteostrong.me. MYSTIC INDIA: COLORS OF INDIA. Academic Arts Theatre, Westchester Community College, 75 Grasslands Rd., Valhalla. 8 p.m. This Bollywood dance spectacular depicts ancient India’s transition into modern India. Features live musicians and dancers performing breathtaking acrobatics. ST. PAUL’S LUTHERAN CHURCH, ELCA. 761 King St. at Comly Avenue, Rye Brook. 9:45 a.m.: Easter Sunday worship and egg hunt. Child care available. Sunday School meets during service. 7 p.m.: Annual Port Chester/Rye Brook Firefighter Memorial Service. Rev. James O’Hanlon, pastor. 914/939-8170. THE BIZARRE WORLD OF FRANK ZAPPA. The Capitol Theatre, 149 Westchester Ave., Port Chester. Ages 18 & over unless accompanied by a parent or legal guardian. 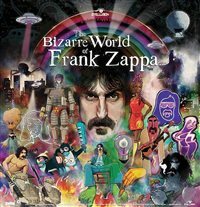 Doors open at 7 p.m., show at 8 p.m. A who’s who of Zappa fan favorite musicians will support “The Bizarre World of Frank Zappa” hologram tour. ANNUAL COMMUNITY EASTER EGG HUNT. The Osborn, 101 Theall Rd., Rye. 11:15 a.m. During the festivities, 6000+ Easter eggs will be hidden for children to find, gather and enjoy. Event is split into two groups—one for children under age 3 and the other for children over age 3. Event provides the opportunity for seniors and children to interact in a way many may not have the opportunity to do otherwise. Event also features a live DJ, dancing and games. Lunches, which include a hot dog, drink, chips and cookie are only $5, are available. Free and open to the public; no pre-registration required. DISNEY’S “NEWSIES.” Westchester Broadway Theatre, 1 Broadway Plaza, Elmsford. Wed., Thurs. and some Fri. matinees: lunch at 11:30 a.m.; show at 1 p.m.; Thurs.-Sat. dinner at 6:30 p.m., show at 8 p.m.; Sun. matinee lunch at 12 p.m., show at 1:30 p.m. and dinner at 5:30 p.m., show at 7 p.m. Musical is based on the 1991 Disney movie about the real-life Newsboy Strike of 1899, it is the rousing tale of Jack Kelly, a charismatic newsboy and leader of a ragged band of teenaged “newsies” who dream only of a better life far from the hardship of the streets. NORTH BAPTIST CHURCH. 284 King St., Port Chester. 9:30-10:30 a.m.: Hour of Worship. Walk-ins are welcome. 914/690-2001. 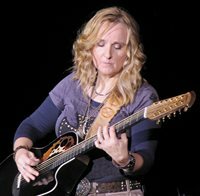 SUNRISE DAY CAMP BENEFIT CONCERT WITH MELISSA ETHERIDGE. The Capitol Theatre, 149 Westchester Ave., Port Chester. Doors open at 8 p.m., show at 8:30 p.m. Ages 18 & over. Sunrise Day Camp is the world’s only full-summer day camp for children with cancer and their siblings. Sunrise Day Camp–Pearl River is a proud member of the Sunrise Association, whose mission is to bring back the joys of childhood to children with cancer and their siblings world-wide, through the creation of Sunrise Day Camps, Year-Round Programs and In-Hospital Recreational Activities, all offered free of charge. COMMUNITY CONVERSATION WITH TODD PARR. ArtsWestchester, 31 Mamaroneck Ave., White Plains. 5:30-6:30 p.m. Free. Special talk by Todd on inclusivity and the representation of family in children’s books and television. A Q&A will follow. For adults and young adults. POTS FOR PETS. Clay Art Center, 40 Beech St., Port Chester. Sat., Apr. 6-June 1 with an opening reception Sat., Apr. 6, 6-8 p.m. 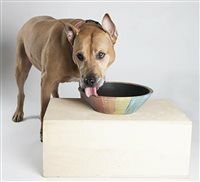 Celebrating pottery for the “furry members” of our family with handmade dog and cat bowls. 10% of all gallery sales will go to Adopt-a-Dog, a Greenwich, CT nonprofit organization with a shelter in Armonk. www.clayartcenter.org. MOUNT ZION BAPTIST CHURCH. 23 Slater St., Port Chester. 10 a.m.: Worship Service. Pastor: Rev. Jared H. Feggans. 914/939-1653. NIGHT OF STRAIGHT UP ROCK & ROLL. Knights of Columbus Hall, 327 Westchester Ave., Port Chester. 7 p.m.; doors open at 6:30 p.m. Features the band Digging for Sharks. All benefits from this event will go to the Special Olympics. Dinner is build your own taco buffet with sliced steak, grilled chicken, pork carnitas, ground beef, fried fish, cole slaw, cheddar cheese, lettuce, tomatoes, onions, salsa, soda, coffee y mucho mas. RUNWAY FOR HOPE FASHION SHOW. Glen Island Harbour Club, New Rochelle. 6-10 p.m. Hudson Gateway Realtor ® Foundation models in fashions provided by Lord & Taylor. Event will benefit the Hudson Gateway Realtor® Foundation. Emcees will be Donald Arace and Beth Hargraves. HIDDEN MASTERS: THE EXCEPTIONAL AGING ARTIST HIDDEN IN PLAIN SIGHT. Mamaroneck Artists Guild, 126 Larchmont Ave., Larchmont. Thru Thurs., Apr. 11. There will be an opening reception Sat., Mar. 30, 2-5 p.m.
ALL SOULS PARISH/THE PRESBYTERIAN CHURCH. 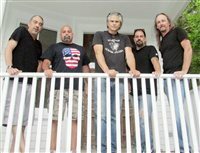 55 Parkway Dr., Port Chester. Lenten Bible Study. 12 & 6:30 p.m. Open to the public. Pastor: Rev. Kathy Genus. For more information, go to www.allsoulsparish-portchester.org. THE SOUL REBELS. Garcia’s, 145 Westchester Ave., Port Chester. Ages 21 & over. Doors open at 7 p.m., show at 8 p.m. Eclectic live show that harnesses the power of horns and drums in a deep pocket funk party-like atmosphere, incorporating tradition and blended funk and soul with elements of hip-hop, jazz and rock all within a brass band context. 2019 ANNUAL GREENWICH SAINT PATRICK’S DAY PARADE. Parade begins at Greenwich Town Hall at 2 p.m. when Lt. David P Nemecek of the Greenwich Police Department blows the ceremonial whistle. Monsignor J. Peter Cullen will be the Grand Marshal. He will be accompanied by his sister Colette and his niece Liz along with representative of the Knights of Columbus Council 39 where his is Chaplain. 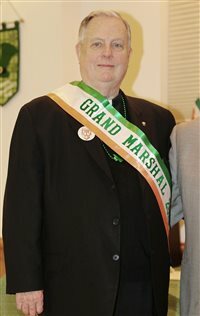 Parade is presented by the Greenwich Hibernian Association. 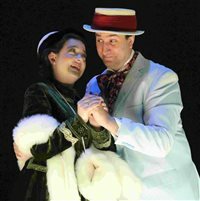 “A GENTLEMAN’S GUIDE TO LOVE AND MURDER.” Kweskin Theatre, Curtain Call, Inc., 1349 Newfield Ave., Stamford. Fri. & Sat. at 8 p.m., Sun. at 2 p.m.; (no performance Easter Sunday, Apr. 21) and Thurs. Apr. 18 & 25 at 8 p.m. A little bit murder mystery, a little bit love story and a lot of laughs, this musical is the story of Monty Navarro, an heir to a family fortune who sets out to jump the line of succession by eliminating the eight pesky relatives who stand in his way. CONGREGATION EMANU-EL OF WESTCHESTER. 2125 Westchester Ave. East, Rye. Fri. at 7:30 p.m.: Shabbat service with guest speaker. Rabbi Howard Goldsmith, Rabbi Emeritus Daniel S. Wolk, Assistant Rabbi & Director of Education Jade Ross and Cantor Meredith Stone. congregationemanuel.org; 914/967-4382.